Health Benefits of Neem - Virtually A Living Pharmacy And Better! If you have a skin problem such as eczema, psoriasis, itchy scalp or acne, you may want to try almost anything to be rid of the skin itchiness, pain and discomfort that you are experiencing from the skin inflammation. One of the most effective plants that has been widely used to relieve symptoms of skin problems besides coconut oil, is neem oil. Leaves: Used to make into paste for treating skin diseases, or infused in tea to strengthen immunity. Seeds: Dried and crushed, or oil extracted to be used as medicines, tinctures or as ointments. Bark and twigs: Chewed for strengthening teeth, or powdered to be used in traditional medicines. Roots: Powdered to be made into traditional medicines for treating various ailments and diseases. Flowers: Used in culinary or simply eaten as a vegetable. Fruits: Eaten fresh or cooked for purifying blood. Neem has many outstanding medical benefits and one of its most important properties is its anti-cancer properties that kill cancerous cells. Ayurvedic practitioners claim that consuming neem in small amounts every day can bring the cancerous cells in our body under check and prevent them from being destructive. It’s no wonder that neem can be found in 75% of ayurvedic medicines. Thanks to its miraculous medicinal values, neem is virtually a living pharmacy! Due to its anticancer, antiseptic and anti-inflammatory properties, it means that the potential for improving the immune system is tremendous and the number of ailments that it can treat is just almost endless! Antibacterial: Destroys the proliferation of bacteria and bacterial overgrowth. Antimicrobial: Destroys the growth and development of harmful micro-organisms. Antiviral: Inhibits the growth of viruses and the development of diseases caused by viruses. Antifungal: Prevents the growth of fungi and infections. Analgesic: Provides relief to various bodily pains. Anti-inflammatory: Reduces internal and external inflammation, swelling and tenderness. Antihistamine: Reduces reactions from allergies. Digestive and brain health: Relieves indigestion, heals ulcers, removes parasites and worms, strengthens immunity. When digestive health is strong, it usually also improves brain health. Blood health: Purifies and detoxifies blood, clears up yeast and fungal infections, improves blood flow, regulates blood sugar level and blood pressure. This will also result in strengthened heart and respiratory health. Liver and kidney health: Prevents liver diseases such as hepatitis and cirrhosis. Prevents kidney disorders such as infections and kidney stones formation. Skin health: Soothes and relieves inflammation, burns, break-outs, itchiness, redness, irritation, lightens skin pigmentation, treats acne, pimples. Very beneficial for individuals suffering from eczema, psoriasis and dermatitis. Oral health: Prevents periodontal diseases, strengthens teeth and gums. Hair health: Promotes healthy hair, prevents premature graying, dryness, breakage, thinning and hair loss. The list goes on and on! The neem plant is deemed as one of the most complex plants on earth. 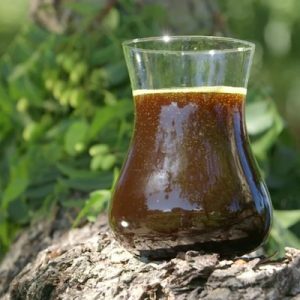 It may still be little known to the western world but where it is mostly found, neem is used daily in many personal and skin care products. 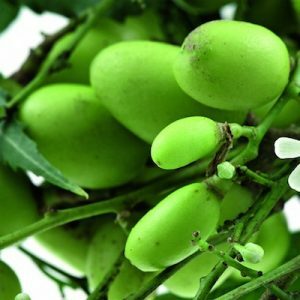 In India, this tree is considered almost divine for what it can do. 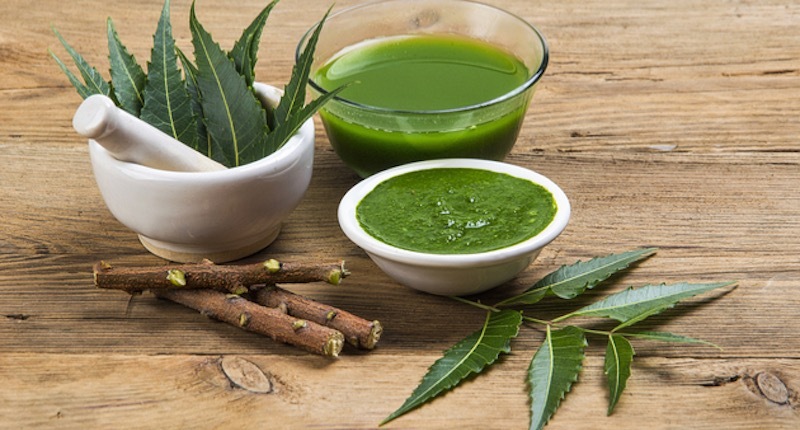 As mentioned above, almost every part of a neem tree is being used for a variety of purposes. One of the biggest uses of neem is in skin care products and many people have found them to be effective for relieving skin breakouts and for improving skin appearance. They are made into various personal care products such as soaps, toothpaste, lotions, cleansers, moisturizers, facial masks, lip balms, ointments, repellents, shampoo, hair conditioners, body scrubs, etc. Neem oil extracted from the seeds, is rich in vitamin E and the omega fatty acids, making it an excellent product for treating and healing skin itchiness, swelling, irritation and redness of psoriasis and eczema. Applying neem oil on inflamed skin, prevents bacteria from settling in the cracks of broken skin and supports skin healing. I find neem in powder form to be very versatile to use as it can be mixed into a paste to be used as toothpaste, facial mask, hair mask or anything you like. Neem oil, on the other hand is helpful for topical application on skin breakouts, and to use how you would an essential oil. Be warned though, neem smell is very strong and takes some getting used to. Some say it smells like skunk, some say it smells earthy and yet some say it smells nutty, or even chocolatey. As much as neem sounds too good to be true, it also means that it is very potent and needs to be used with care. 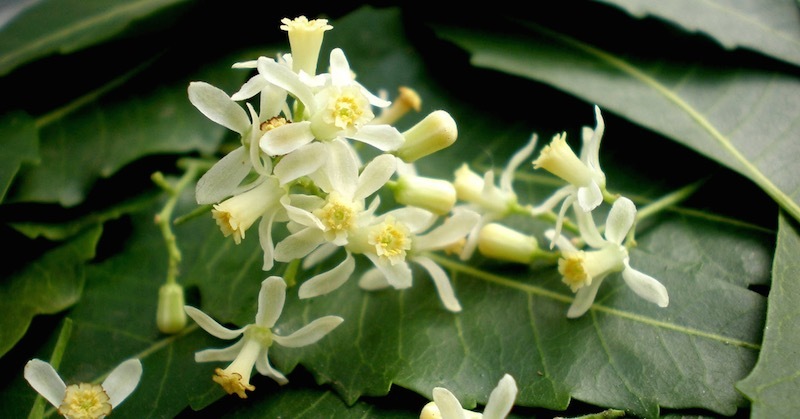 A woman who is considering getting pregnant, is pregnant and nursing, should stay away from using neem orally as it may cause excess body heat that makes the womb not conducive for the fetus.